Al Dollaro is a 3-star family-run restaurant and pizzeria. It offers an informal environment and has free parking, WI-FI throughout the entire hotel and free bicycles. Admits small animals on request. The hotel is located in Cattolica in the central area about 5 minutes walk from the beach. The rooms are all equipped with bathroom with shower and hairdryer, satellite TV and digital terrestrial, minibar on request, air conditioning, telephone, WI-FI, safe. Rooms with a balcony are available upon request. Bicycles for free use, elevator, satellite TV. PARKING: interior, private and free. PETS: small pets allowed on request, there is a supplement. 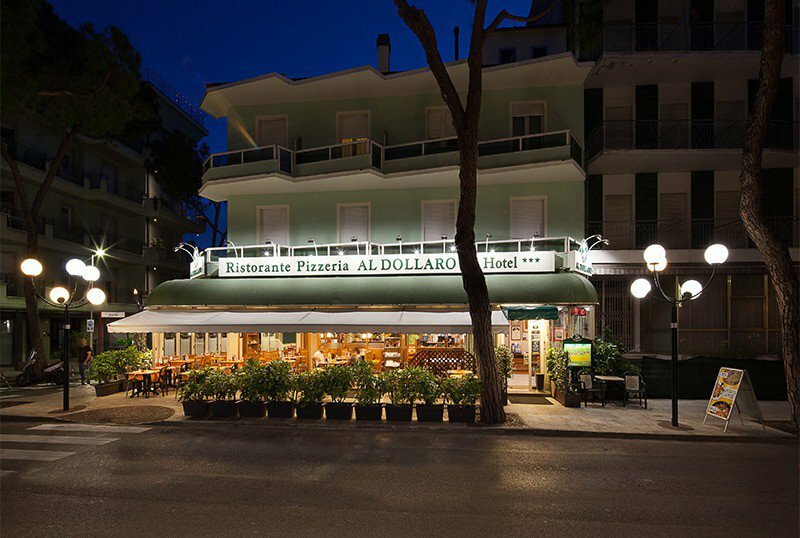 LUNCH AND DINNER: the restaurant "Al Dollaro", owned by the hotel for 50 years, is also open to external guests and offers à la carte menus with the best dishes of local cuisine based on meat and fish, pizza, pasta with rolling pin and homemade desserts. In hotel: pediatrician and outdoor playground area. At meals: baby food , baby menu and high chairs on request. On the beach: children's pool, playground, mini club, live entertainment. 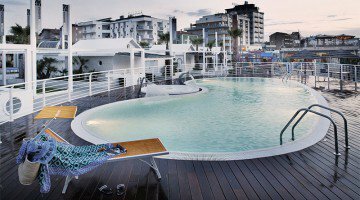 The hotel has an agreement with the Bagni Stella Marina (No. 46, 47, 49, 50) where guests can take advantage of many services, including swimming pool, entertainment, mini club, playground and playgrounds.